It's Extraordinary! 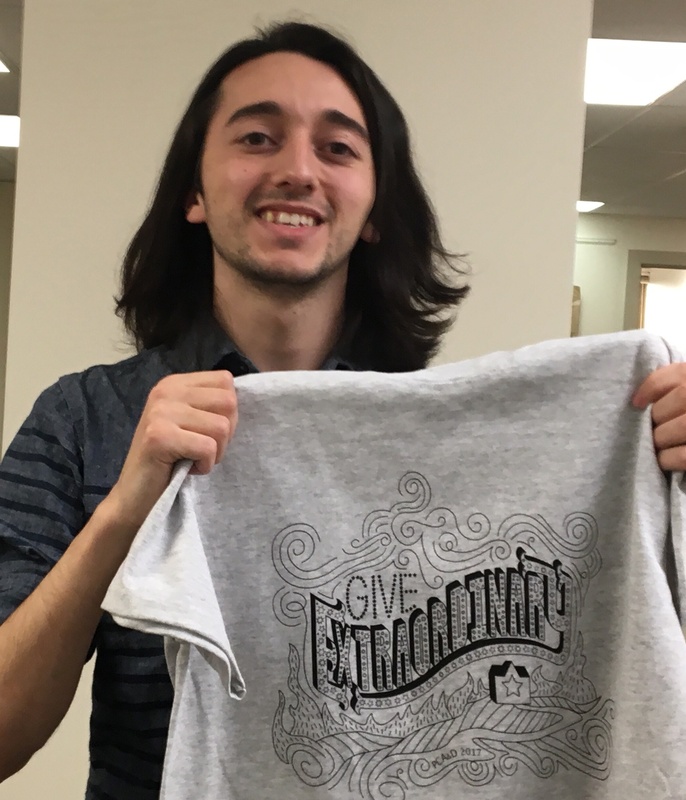 Austin Lord, PCA&D Illustration Senior, designed this t-shirt and accompanying poster for the 2017 ExtraGive. Donate to PCA&D and you'll receive yours! The ExtraGive is tomorrow, Friday 17th midnight to midnight! You can watch the posters being printed at the Pop-Up Print Shop at the Benchmark Construction giving event at the Ware Center Friday (tomorrow) night from 5:00-8:00p.m. Over 20 organizations will be at the event, along with live music and fun activities. Plus, students Emma Leadem and Brianna Souchuck will be doing caricatures. 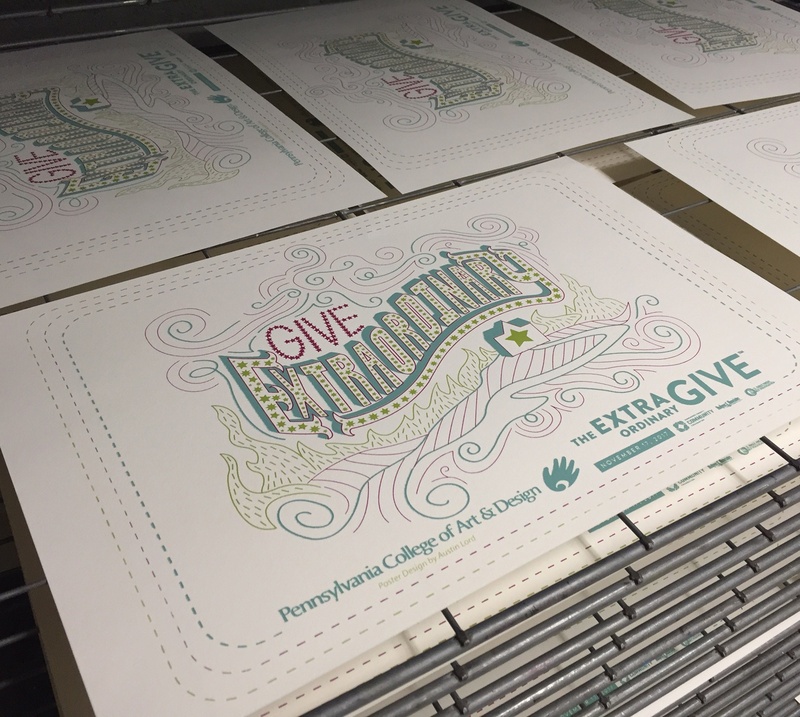 Friday, November 17 is the Extra Give, Lancaster County's largest giving event, with over $6 million raised last year in 24 hours. More information on the event. Last year, PCA&D raised $4,735 including gifts from 18 staff members, 6 faculty members, 2 current students, and 3 alumni. The event begins at 12:01am Friday morning and requires a minimum on-line donation of $25. You can make a gift in support of PCA&D via this link and track how many donations we receive. Each gift makes PCA&D eligible to receive a portion of the stretch pool of $500,000, as well as $50,000 in available prizes. Visit our Pop-Up Print Shop at the Benchmark Construction giving event at the Ware Center Friday (tomorrow) night from 5:00-8:00p.m. Over 20 organizations will be at the event, along with live music and fun activities. Plus, students Emma Leadem and Brianna Souchuck will be doing caricatures.